days ago for ransom, relatives reported tonight. ”every effort” for their release. and she was trying to convey it to the Shipping officials. Progressive Alliance chairperson Sonia Gandhi. running short of water and rations. Mrs Goyal urged in a petition to Baalu. aboard the ship whose wife is in hospital. 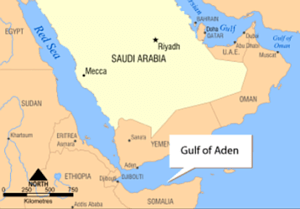 Gulf of Aden on September 15.
told a meeting at the Indian Society of International Law. government of India as their last hope. coalition of US, British and French forces. Russian, a Bangladeshi and two Filipinos. Mantar, just off the Capital’s Parliament Street. Japan, where the owners belong. Japanese owners and the hijackers, Mrs Goyal disclosed. many of them face at sea. the area and suggested similar effort by Indian forces. officers, is also responsible for recruits’ welfare, experts say. saying they have been misundestood by the world. ”we don’t consider ourselves sea bandits. Law of the Sea Convention to which India is a party. 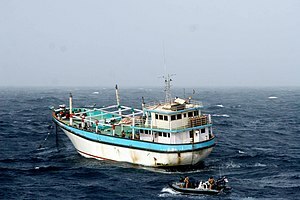 hostages to call home to pressure the ship owners on ransom. the safe release of the crew” and have kept governments posted. All India Congress Committee general secretary Rahul Gandhi. be made to secure release of the hostages. Goyal told her nothing had arrived,” she said. not coherent but the desperation was most pronounced. Goyal urged in a petition to Baalu.